McLachlan Lab Takes Home 2nd Best Title Again! 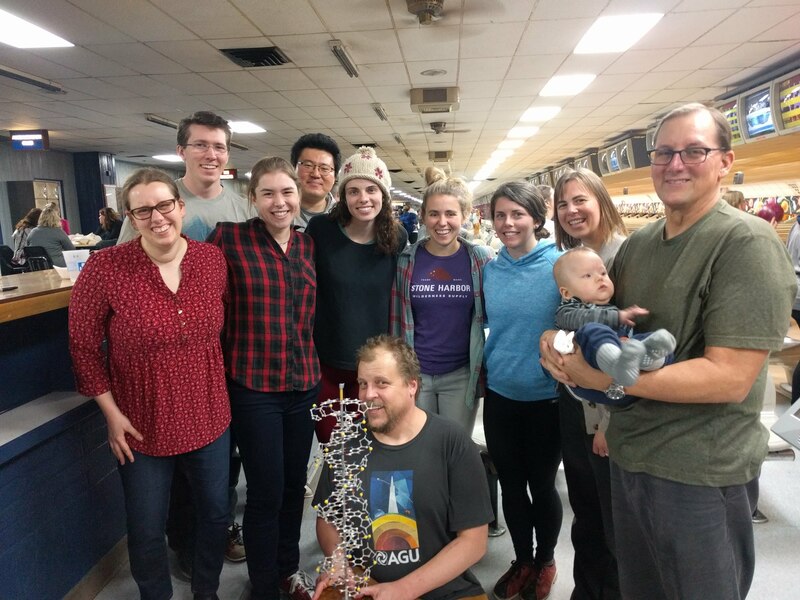 Every year the McLachlan, Medvigy, and Rocha labs take on the Archie lab (+ friends) in bowling. For the 6th straight year in a row, we are the 2nd best bowlers around! We once again will display the DNA helix with pride until next year’s battle! This entry was posted in Lab Updates. Bookmark the permalink.